Added "Customer Type" and "Select Ord W/856 Exp Only" parameters to Order Billing -> Mass-Billing -> By Range Criteria. Enter space for all Customer Types. 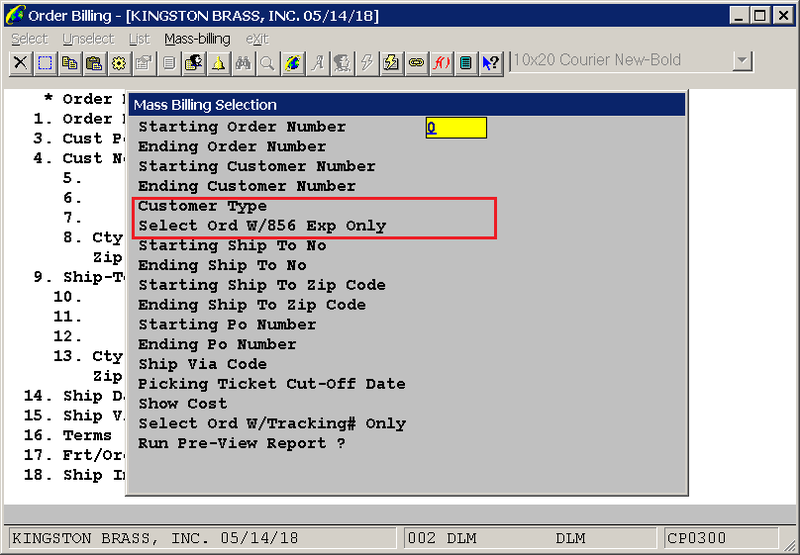 The default value of “Select Ord W/856 Exp Only” is “N.” If the user sets it to “Y,” then only those orders where ORDER-856-EXPORTED-FLAG = “Y” will be selected.